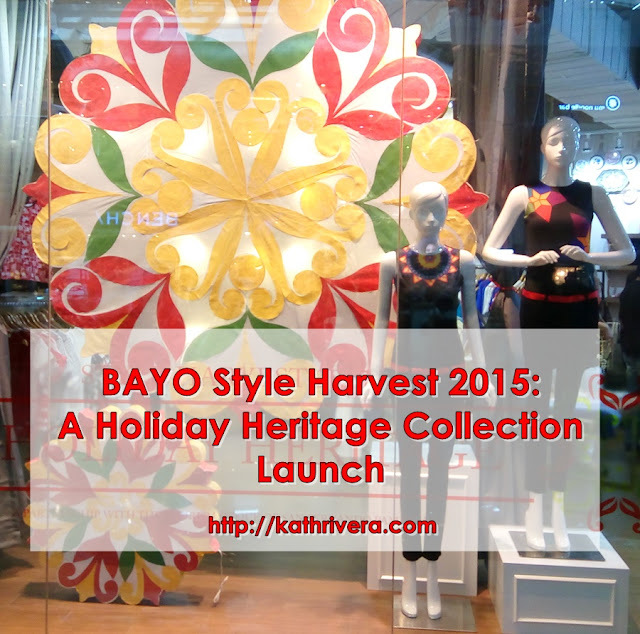 The most wonderful time of the year started early as BAYO recently launched their 2015 holiday collection entitled- BAYO Style Harvest 2015. 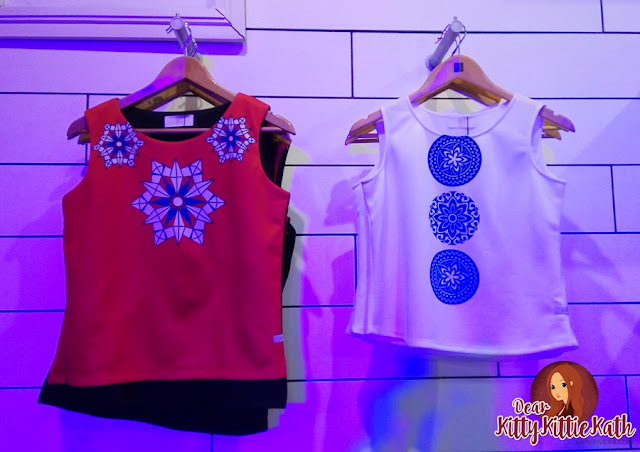 The event was held at BAYO Glorietta 2 branch last November 17 which showcased the parol (a star-shaped lantern from the Philippines) inspired designs for the holiday collection. I presume that some of you already know BAYO and have worn a piece or two from this homegrown brand. BAYO is proudly Filipino. When I was in high school I thought BAYO is an international brand because their clothes have high quality materials and the designs are unique, better from what I see from other brands. 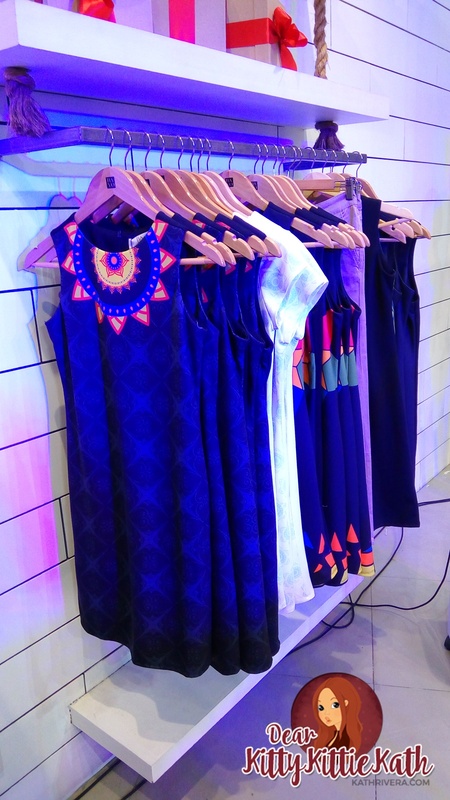 Fast forward today, BAYO still produces designs that matches the lifestyle of every Filipina. See the designs from the 2015 holiday collection and highlights of the event below. 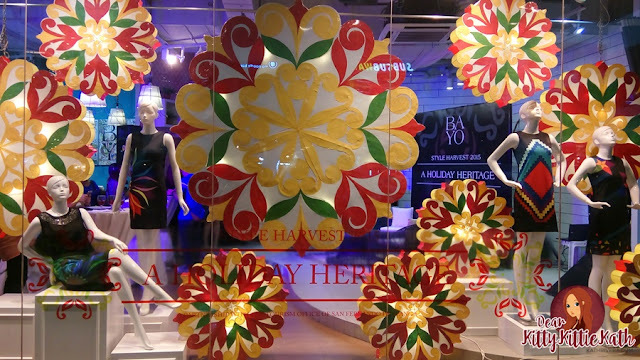 Style Harvest: A Holiday Heritage showcases the Filipino Christmas tradition by incorporating the designs with the beautiful colors and festive aesthetic of the parol, considered the symbol of the Filipino Christmas spirit. 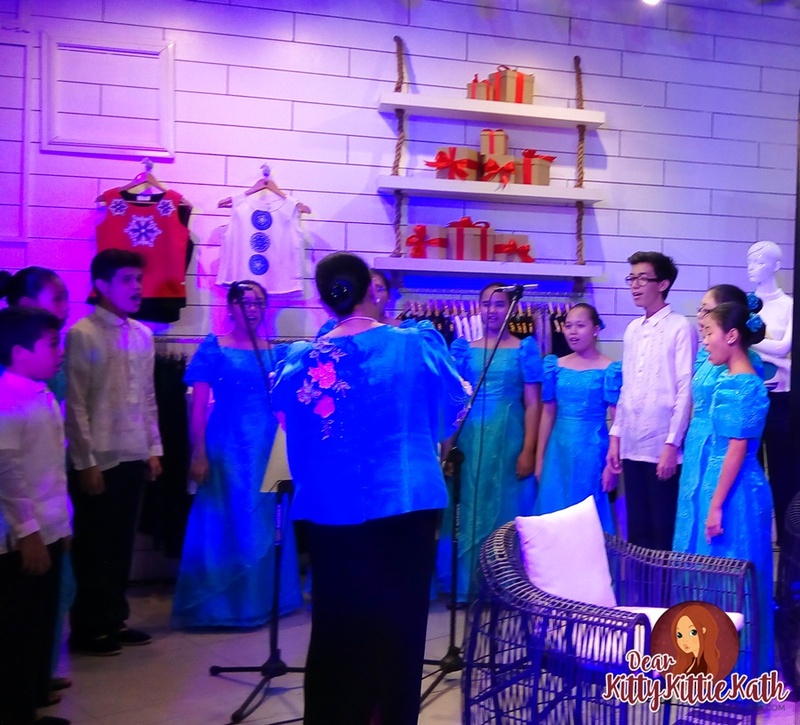 To make the launch more festive, the Verlanie Foundation Philippines Children's Choir sang Christmas carols that filled the air with Christmas spirit. During the launch, BAYO also introduced their newest ambassador- Ms. Iza Calzado who confessed to be one of the Filipinas who liked the brand so much when she was still young. She shared her stories about BAYO and to be one of the brand's endorser is a dream come true. I was amazed that Iza Calzado remained down-to-earth despite all her achievements in movie and film industry. She answered all the questions with confidence that day and gave us an idea of what designs from the BAYO collection exudes her personality. As for the parol-inspired designs, I like what Iza was wearing during the event. Look at the photo above. Her dress looks so elegant with the parol design. I'm diggin' this dress because the style is perfect to wear in family reunions and Christmas parties. Here's a glimpse of the collection. You will see blouses, skirts, and dresses with colorful parol prints either on the top, at the bottom or center of the clothes. The designs are classy and feminine but you can wear it either casual, semi-formal, or business attire under a blazer. I'm not a fashion guru but seeing the styles from this collection makes me wanna make my own Christmas party outfit guide. A little mix and matching will do and for sure you'll the the star of your Christmas parties. Bayo had partnered with the artisans of San Fernando, Pampanga to provide beautifully crafted parols in all of its stores nationwide. These colorful Christmas lanterns would adorn the windows of each Bayo store throughout the season. 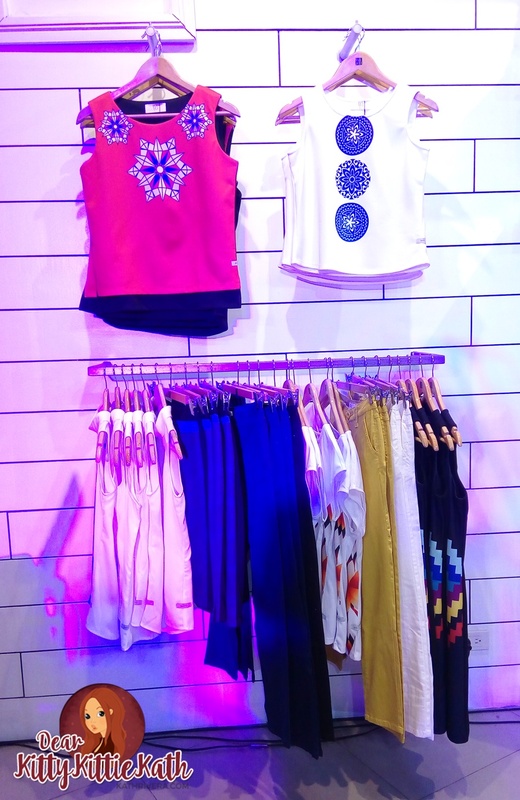 So drop by at the nearest BAYO branch and be delighted with the colorful parols on display. I highly recommend the designs from this collection, you can wear the pieces not only during holiday season as I see most styles flexible which can be mixed and matched with basic pieces from your wardrobe. Thank you so much BAYO for having me and for the Filipino delicacies that you've served that day. The 'kakanin' brought Christmas closer and this collection is an inspiration to the parol makers of Pampanga. Congratulations on a very successful launch and more of this heritage collection in the coming years!